When we think of old school, luxurious, and prestigious American vehicles, the collective lot will inevitably think of Buick. The legendary GM brand has been associated with class and the upscale market since its inception in 1899. First premiered at the 2017 New York International Auto Show, the 2018 Buick Enclave Avenir represents a more progressive step forward for the luxury brand, introducing a plethora of innovative features that bring Buick into a new realm of exclusivity and prosperity. So what does a brand who seems to have it all figured out, do next? Introduce the most luxurious and comfortable version of its flagship Enclave ever. Cue the Enclave Avenir. Avenir, meaning ‘future’ in French, is an all-new luxury sub-brand of Buick. Likely a move that reflects the success of GM’s luxury Denali sub-brand, Avenir is concept-car inspired, and is being heralded as the key to future growth of the Buick moniker – so much so, the Vice President of Global Buick Sales, Duncan Aldred, says Avenir will “be Buick’s signature.” Buick will roll out the Enclave Avenir in 2018, as well as the Lacrosse Avenir. The 2018 Enclave Avenir receives rich grained chestnut leather-appointed seating, wood-toned accent features and embroidered first-row headrests to accentuate the presence of the new Buick identity. On the exterior, the Enclave Avenir receives #-dimensional grille mesh with chrome wings, hearkening back to the Buick’s of the 1950’s, as well as commanding 20” wheels and chrome Avenir scripted badges and sill plates. Featuring seating for up to 7-passengers, and massive cargo space for all of life’s little journey’s. The innovative Smart Slide seating and cargo flexibility pack allows the second row seats to slide and slouch forward, giving unprecedented access to the third-row. The power lift option make elevating or reclining the seats a breeze, turning the Enclave into the true crossover it was meant to be. Sculpted to an entirely new form, the new Enclave Avenir boasts dynamic style that is decidedly Buick. It’s long, flowing, and elegant body lines allow subtle chrome accents and LED winged Evonik signature headlamps to add further style. Enclave Avenir comes standard with a powerful – yet efficient – 3.6L V6 engine that produces 310 horsepower, coupled to a silky smooth 9-speed automatic transmission. The engine also features innovative start/stop technology to conserve fuel in urban driving scenarios, and the available twin-clutch all-wheel-drive system helps a new 5-link rear suspension system provide optimal handling, grip, and performance. Avenir’s premium suspension features include continuously-variable real-time damping chassis, translating power into highly precise handling, and balanced comfort. Aside from engine power, the all-new Buick enclave Avenir is constructed from modern lightweight materials to assist in adding rigidity, stronger body structure, and reducing weight, further contributing to performance and fuel economy. The Buick Enclave Avenir is meticulously appointed with modern technological tools to keep its passengers well-connected and in control of their adventures. Compatible with both Apple CarPlay and Android Auto, the Enclave enables you to access to apps like Music, Maps, and make hands-free phone calls and text messages. Available Onstar 4G LTE wi-fi hotspot keeps up to 7 mobile devices connected while the 8-inch Infotainment system allows for other fully customized features like enhanced voice-recognition tech, and optional navigation. The myBuick app allows owners to visualize and check in on vehicle health, parking location, remote starting capabilities, monitor WiFi usage, and send directions directly to your vehicle. 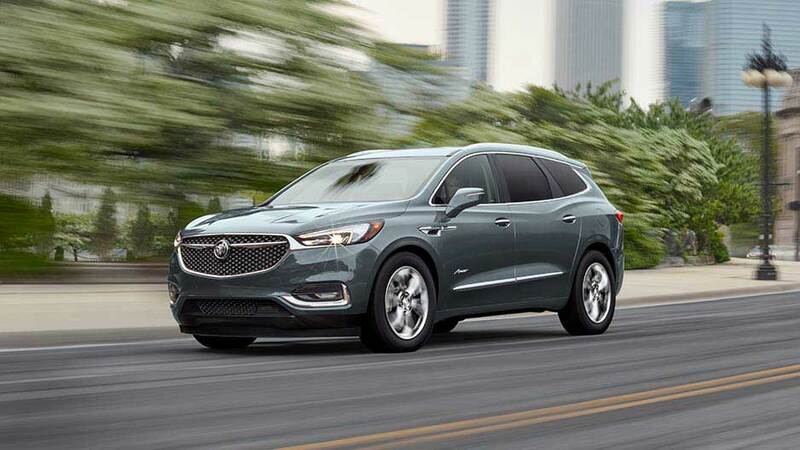 The Enclave is Buick’s flagship vehicle, and since its introduction in 2007, GM bigwigs have realized 90% of new Enclave buyers have purchased in the top two trim levels, demonstrating the synonymous nature of the brands perceived luxury. Avenir takes Buick luxury and prestige to a whole new level.